Does your dog itch? I mean more than normal itch? Keep you up all night? Scratch rather than play ball? Give himself sores or lick himself bald? Then your dog likely has allergies! 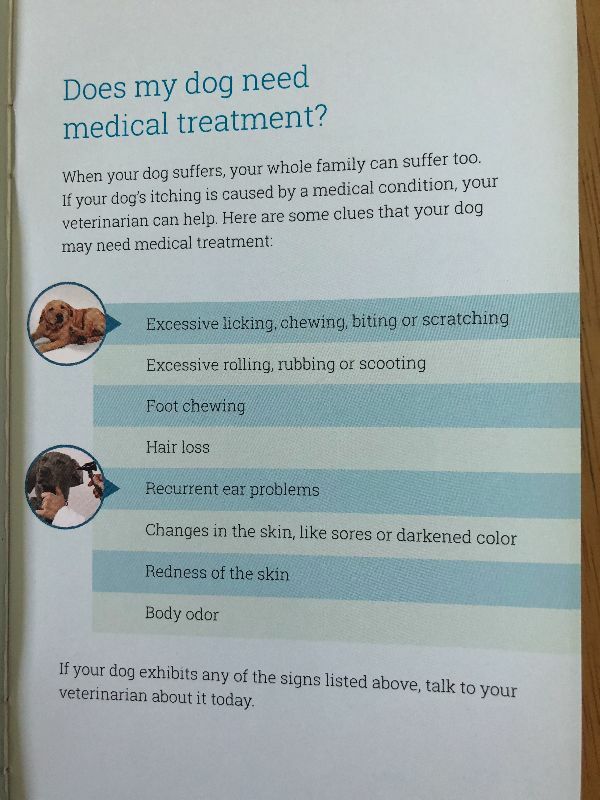 I’m not saying that all dogs that itch have allergies, an itch every now and again is perfectly normal, plus things like fleas, lice and mites are quite itchy but by far the most common reason a dog becomes overly itchy is due to some sort of underlying allergy. You may not know it, but just like people, dogs can be allergic to anything and everything. Most dogs manifest their allergy as a skin disease, rather than hay fever or runny nose most people associate with an allergy. Not only does the allergy itself cause your dog to itch; the trauma from scratching, licking and chewing can create infections that can cause an allergic dog to become ill and even more uncomfortable. My own dog suffers from allergies, and though he is better now, there was a long period of time when my colleagues and I struggled to get his signs under control and heal all of his wounds. So I know the struggles that you and your pet go through on a daily basis when they suffer from allergies. The most unfortunate thing about this condition is that unlike many diseases that we face, there is no cure for allergies and we have to constantly employ different strategies to make our pets feel comfortable or as close to normal as possible. There are several ways to try and combat allergies; such as serum injections, medications and special diets. There is usually no one way to treat allergies and multimodal therapy has to be employed. There is always hope, so do not be discouraged. Just like humans, dogs can be tested for allergies too. 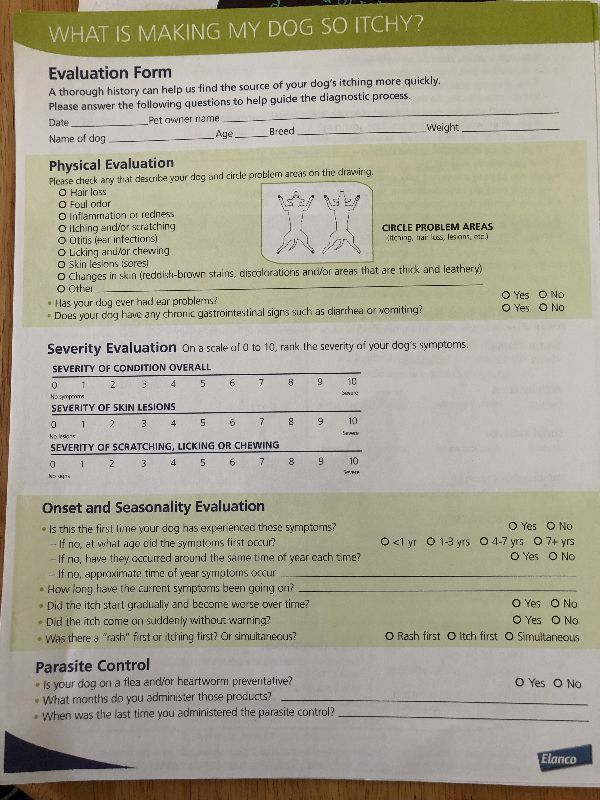 Both skin tests and blood tests are available to be utilized to determine your pet’s major allergens so avoidance strategies or even hyposensitization therapy can be employed. Hyposensitization (allergen injections given to weaken the body’s response to the allergen) is a great strategy to combat allergy and in essence is the only “cure” in that it stops the abnormal reactions. It is not always an effective method, as no science is perfect, and response rates are often reported to be around 60-70%. Along with that, the process takes a very long time (sometimes as long as nine months) to see improvement in your pet. Flea treatment is imperative when a pet has allergies, as fleas are a common allergen and can in themselves cause an already itchy dog to become much worse. I always harp on it, but high quality flea preventative at an appropriate interval (which wholly depends on the product) is essential for all pets, especially those with underlying skin problems!! Diet is also an important component of an allergy sufferer’s life. If you listen to the TV commercials, grain, grain, grain, grain…. But studies have shown that for dogs, grains are not the primary issue but the proteins in their food. 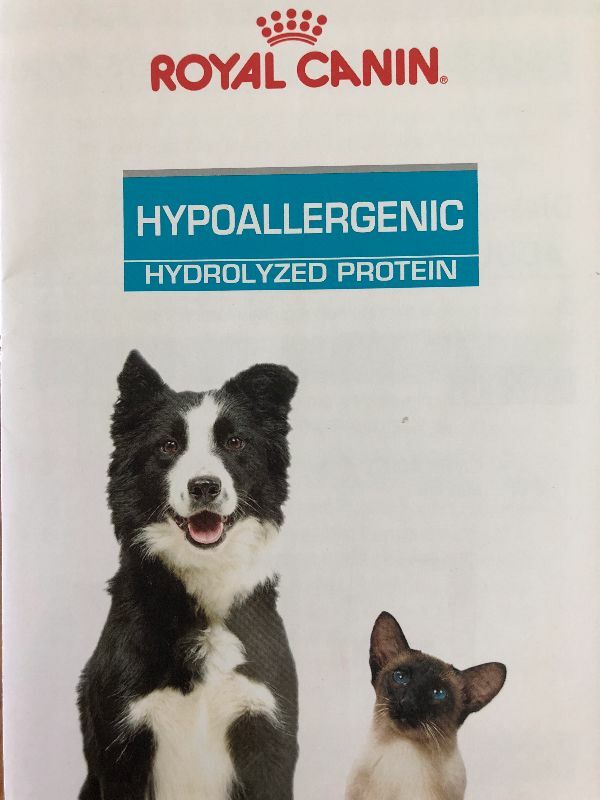 As a strategy to stop this overreaction to these proteins, feeds utilize novel (meaning odd “new” protein the pet had never had before) or hydrolyzed (broken down to be too small to be recognized as an allergen) proteins. These diets also tend to have essential fatty acids to help make the skin and coat moisturized and healthier; which is a frequent problem in dogs with allergies. As mentioned before, there are numerous medication options available as well. Antihistamines that are frequently used in human medicine for allergies have, unfortunately, been of little use in dogs as they rarely work. Steroids in various forms have been utilized for years and tend to be very effective, but do have their drawbacks because long term steroid use has been associated with severe side effects. Cyclosporine, a potent immune suppressing drug has been shown to be effective for some dogs with allergies, tends to have fewer long term side effects compared to steroids, but has also be shown to be less effective in some dogs. New drugs on the market have been shown to be very effected with limited evidence of side effects. Apoquel and Cytopoint target very specific proteins that are involved in itch and can be utilized to allow allergic pets prolonged periods of itch-less bliss. So if you think your dog is too itchy, smells like a yeasty beast and has ears as red as tomatoes, he too may be suffering from an allergy. As I mentioned, there is a lot we can do to make him feel normal, don’t hesitate to try.